Fixodent 83515968 Denture Adhesive 9.6 oz. 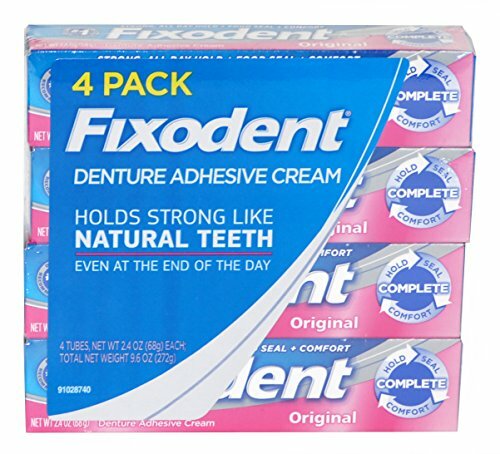 Fixodent gives you the power of the #1 Dentist recommended denture adhesive brand (data on File). it helps prevent slipping and helps to keep food from getting in-between dentures and gums. It's great for both full plate and partial dentures. If you have any questions about this product by Fixodent, contact us by completing and submitting the form below. If you are looking for a specif part number, please include it with your message. 2 pack of F Fixodent Plus Flavour & Color Free TrueFeel Denture Adhesive Cream 2.0 oz.